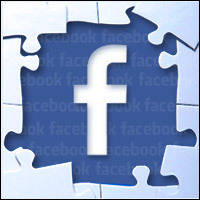 Facebook is working on a video app for set-top boxes, The Wall Street Journal reported Wednesday. The social network wants to deliver longer-form video content — and with it video ads — to the living room TV, the one screen it has been unable to reach. News of this effort follows Facebook’s recent announcement that it was refining its News Feed to favor longer-form videos, which can include mid-roll ad breaks. Facebook Live, the network’s real-time video streaming option, last summer broadcast the aftermath of a police shooting St. Paul, Minnesota. “Video has been part of the broader strategy for Facebook,” commented Greg Ireland, research director for consumer digital transformation and multiscreen video at IDC. “Facebook Live has been in the news, but usually on the bad side — but it highlighted another facet of consumer fascination and engagement with social media,” he told TechNewsWorld. As with Facebook Live, the video content that could be streamed via its video app likely would be user-generated at first — the type of content that already has a massive online following. “The path is like the one YouTube created,” said Greg Sterling, vice president of strategy and insights at the Local Search Association. “It would give Facebook another revenue channel, and would position them as a YouTube competitor,” he told TechNewsWorld. “Obviously, for Facebook a move to video and video advertising is a provocative move, but it could start with longer-form user generated content and move to original commercial quality content over time,” Sterling added. Facebook “sees that people want to consume Facebook videos on these other devices, and today the only way to do it is via AirPlay/Chromecast type mechanisms,” explained Joel Espelien, senior analyst at The Diffusion Group. However, this wouldn’t be for “doing ‘normal’ Facebook postings on TVs — it’s just for content consumption,” he told TechNewsWorld. “It isn’t wise to have a strategy that doesn’t include big screens,” explained IDC’s Ireland. “Commercially produced video content is enjoyed on the bigger screens.” . “Apple TV doesn’t have Amazon Prime Video on it, but it does have Hulu and Netflix, so it doesn’t see everything as a competitive threat,” noted Ireland.